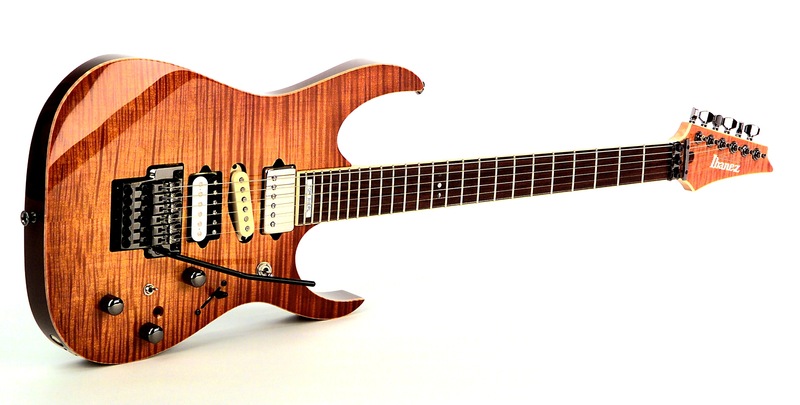 That’s a guitar you don’t see every day: The Ibanez RG-PB-TOM! 20 years ago, in 1999, German guitarist Tom Riepl was approached by Ibanez distributor Meinl one week before Musikmesse Frankfurt, asking whether he could fill in for a few performances at the Ibanez booth during the show, to present a new Piezo-equipped prototype guitar from Ibanez. His performance of blues and fusion songs was a stark contrast to all the lightspeed shred that was going on at the booth at that time. Tom’s performance drew the attention of Mike Shimada, then-R&D Director at Hoshino, and led to extensive talks about gear, technology, and music. Within short time, all culminated in Tom Riepl joining the artist roster and being offered a custom-build Ibanez guitar by Mike Shimada. Wanna know more about the specs and the weird singlecoil? Come back tomorrow for part 2 of this story!